When I needed to make a birthday card for my daughter this cute image was a great starting point for inspiration. I really enjoyed the various ways to add depth, dimension and texture to my projects. Of course tools like the Imagine Crafts Palette Knives, Sponge Dauber and Doodlestix made it much easier for me! 😄 Achieve this super cute birthday card using our versatile and easy-to-use Imagine Crafts tools here! What’s your favorite Imagine Crafts tool? Share your tips and tricks with the Imagine Crafts Community on Facebook or comment below! 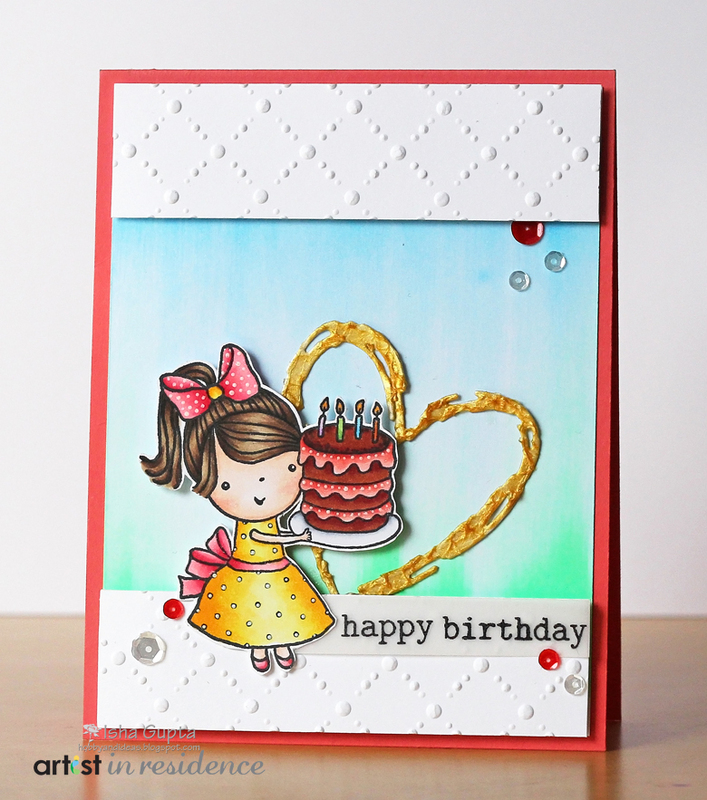 This entry was posted in Cards, INSPIRATION, Isha Gupta, PROJECTS, Tools and tagged Birthday, Cards, Creative Medium, Memento Luxe, Radiant Neon, Sheer Shimmer Spritz. Bookmark the permalink. My favorite Imagine Crafts tool right now are the sponge daubers! They make adding color to my creations so much easier! !